Advanced Circuits electronic kit is a super cool and challenging science set for advanced young circuit builders. 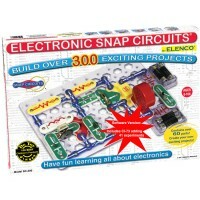 Tap into the awesome world of electronics with this advanced system of snap-together electric building blocks. 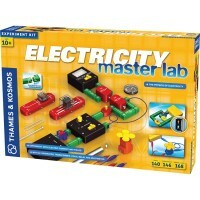 Start out by experimenting with colorful light-up circuits as you dive into the basics of electricity. 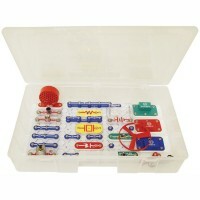 Install a sound module to generate the sounds of police cars, ambulances, or fire engines. 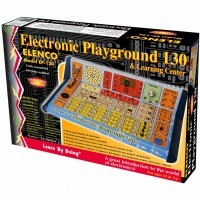 Learn the important role resistors and potentiometers (variable resistors) play in an electronic circuit. 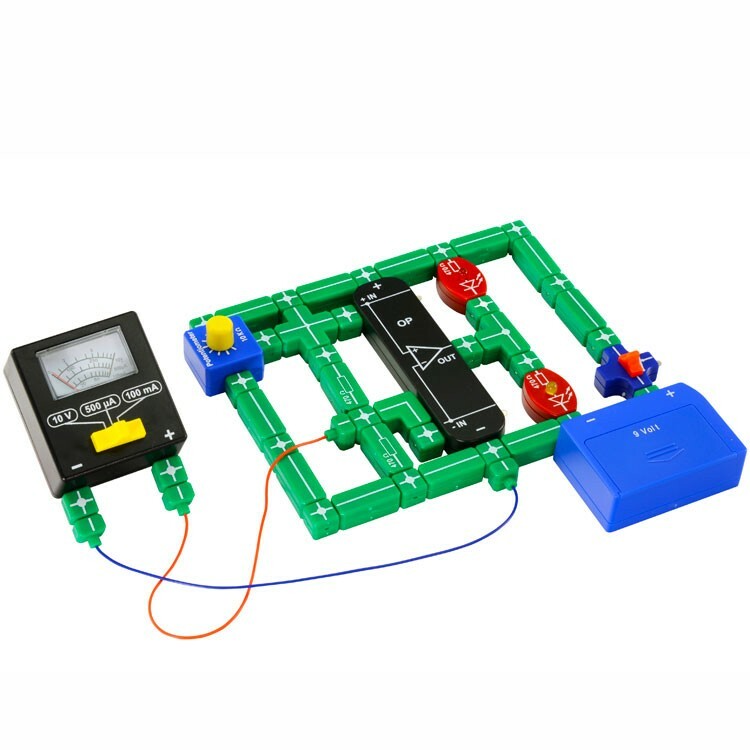 Use a multimeter to measure invisible voltage and current flowing through your circuit. 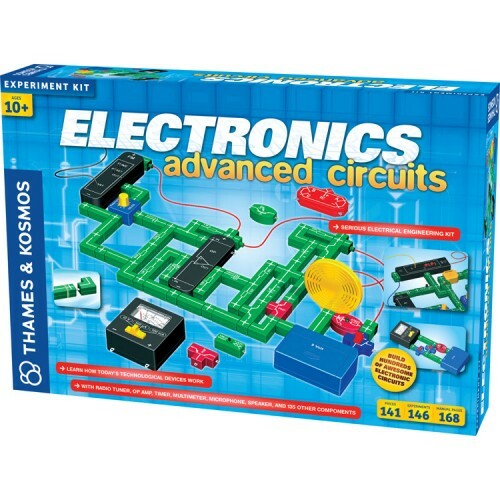 Investigate transistors in switches and amplifiers to learn how the logical circuits in computers work. 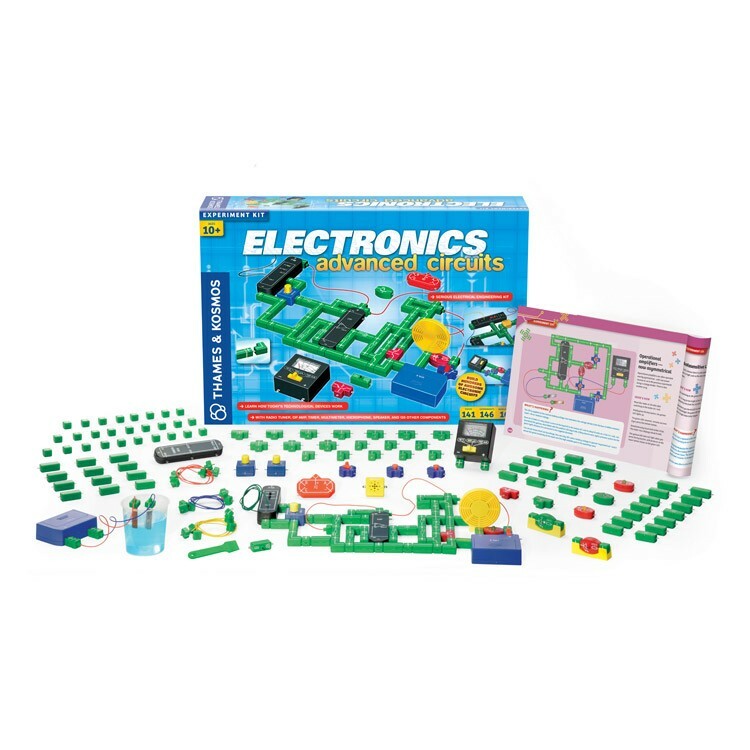 Build circuits that use sensors to detect moisture, temperature, and visible light. 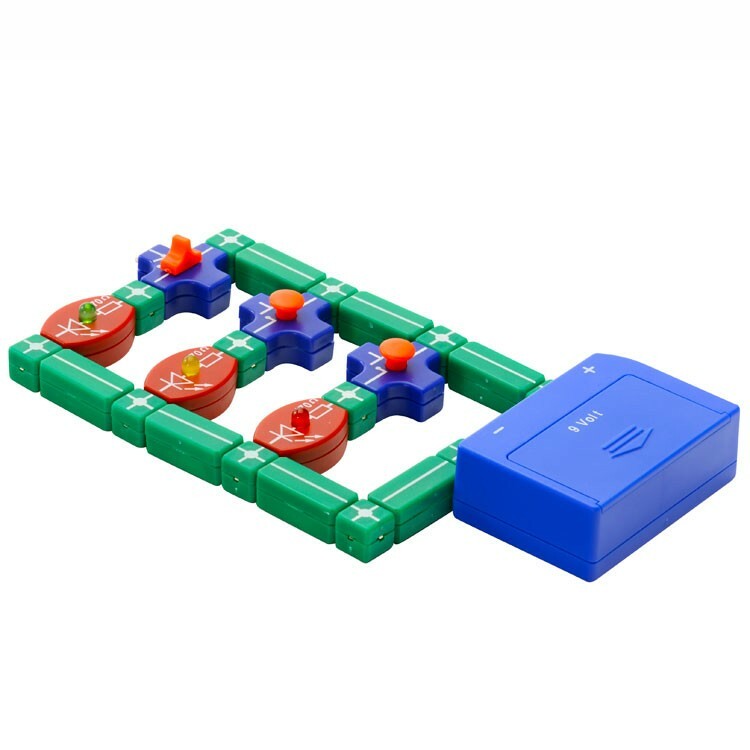 Incorporate capacitors in your circuits to store and discharge electricity for specific functions, such as a countdown clock and a red-green alternate flasher. 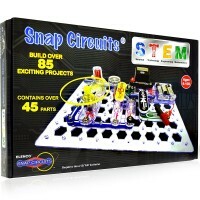 Test out the indispensable 555 timer to build some complicated circuits. 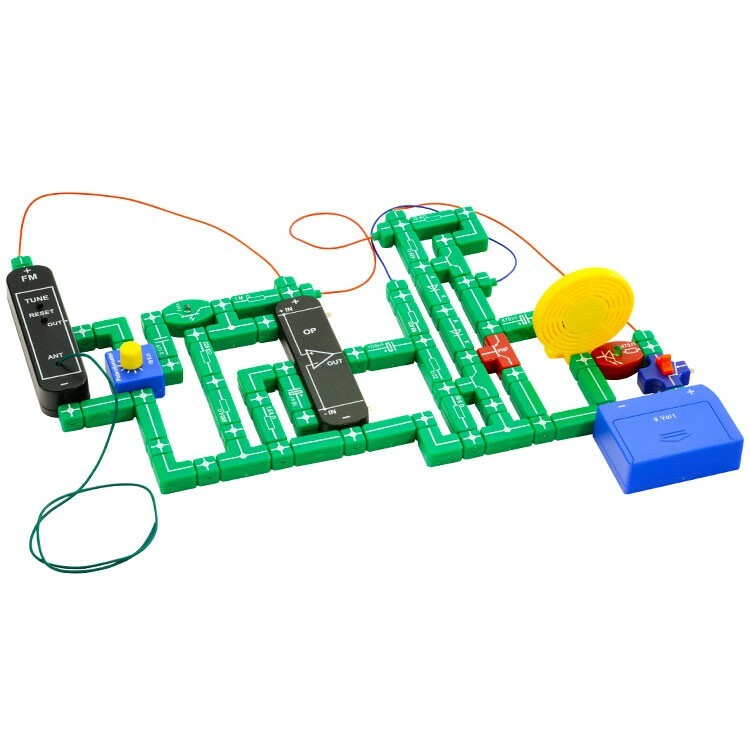 Use an operational amplifier and an FM radio module to build an alarm clock. 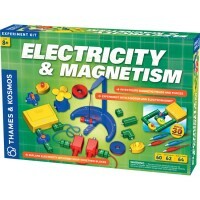 This kit uses the same unique electric building blocks as our other electronics kits, with the addition of many new advanced components, allowing you to build more complex circuits. 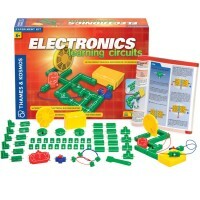 The more than 140 electronic components include capacitors, resistors, transistors, LEDs (light emitting diodes), phototransistor, switches, speaker, integrated circuit, infrared LED, diodes, FM tuner, 555 timer, operation amplifier, two potentiometers, electrodes, voltage and current meter, microphone, and 9-volt battery pack. 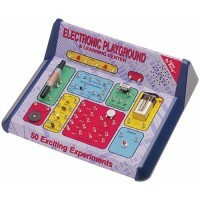 Requires a 9V battery. 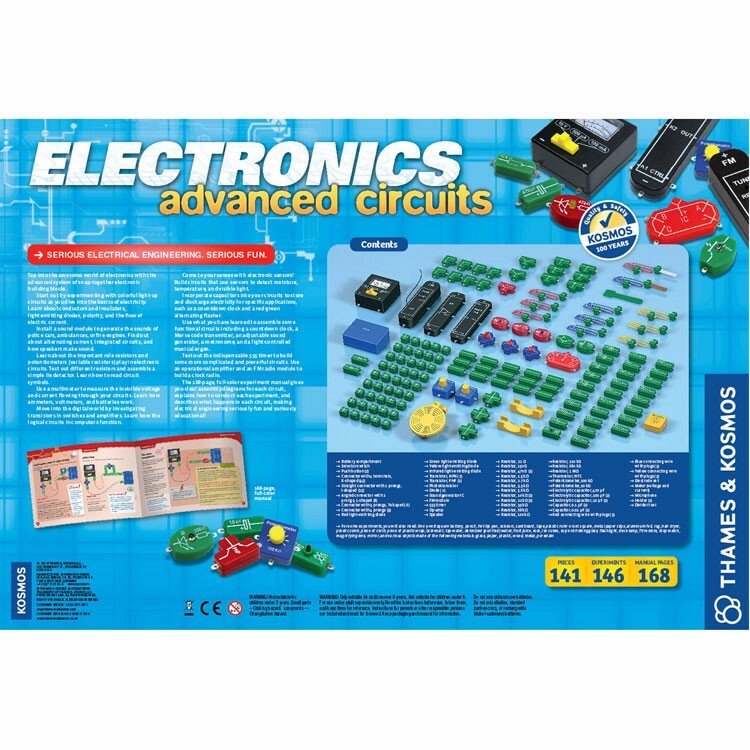 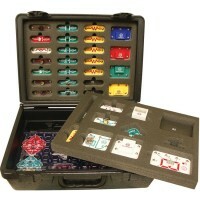 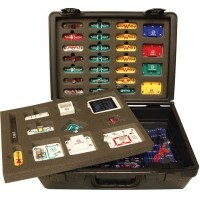 Dimensions of package 14.6" x 21.3" x 3.8"
Write your own review of Electronics Advanced Circuits Science Kit.